Feeling under the weather over the past couple of days, I was craving soup. There is something comforting about the warmth, the hearty textures, and the ability to hold a whole meal in your hands. Instead of making homemade soup that required my full energy, I made halfway homemade soup. 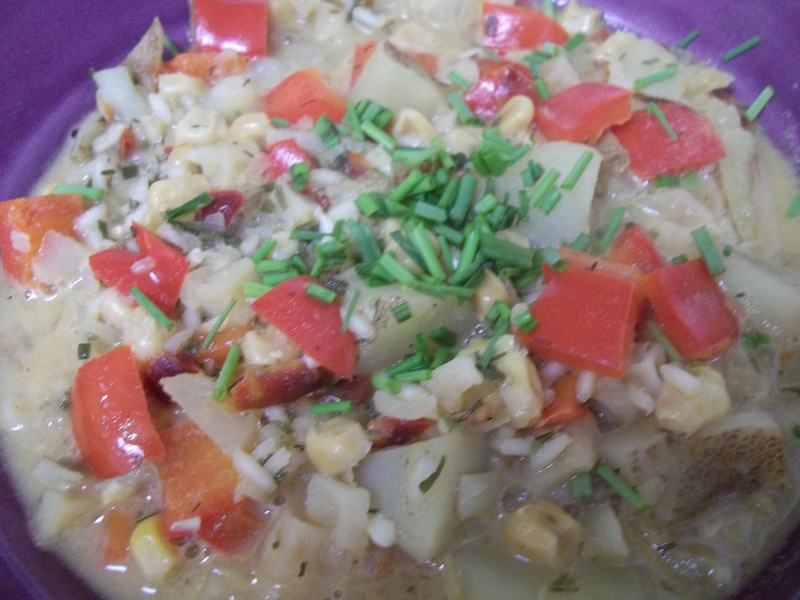 I had one of those soup mixes, gluten free of course, and added some of my own veggies to really make it hearty. 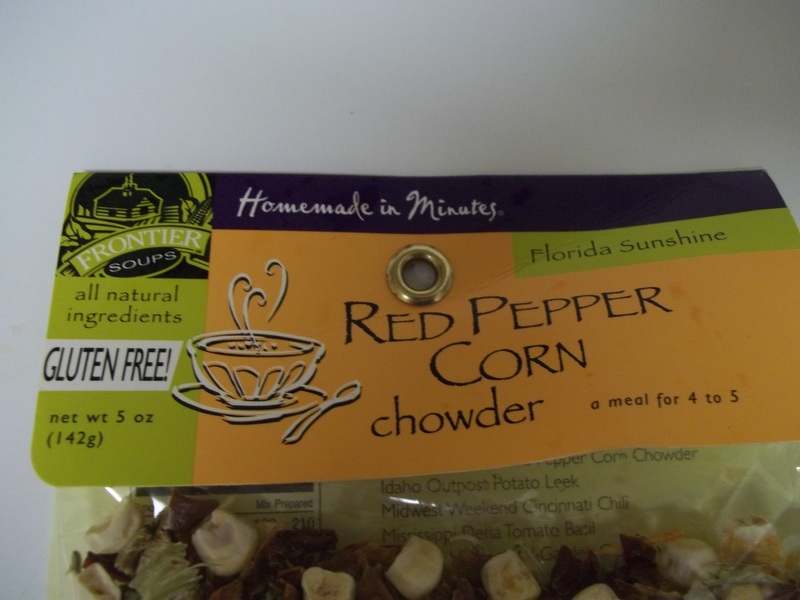 The mix was Red Pepper Corn Chowder. Have you seen these mixes before? 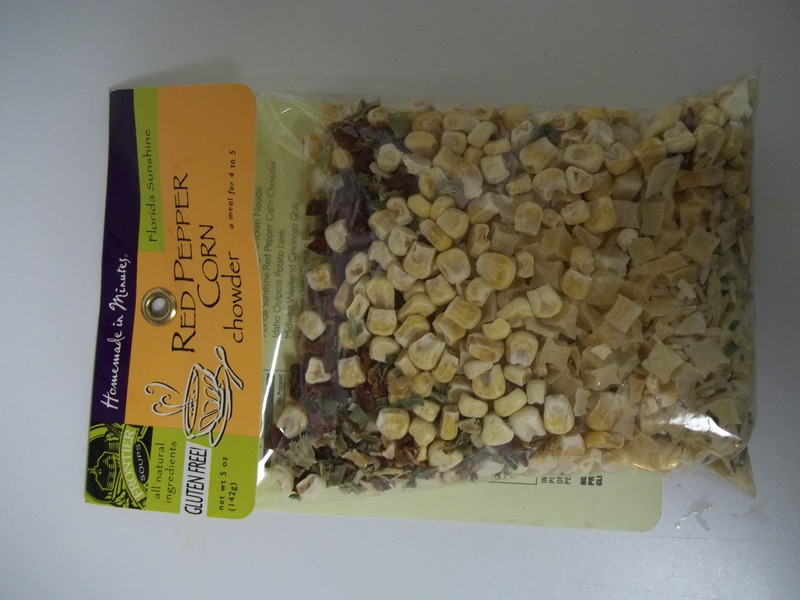 I used its base, and then added my own chopped potato and red pepper pieces. First, I simmered my potato pieces in gluten free chicken broth for about 15 minutes, until just tender. I then added my red pepper pieces and the soup mix and let it bubble some more, about 10 minutes. At the very end, I added soy milk creamer to really make it rich, and let combine for just another minute. Stir, pour, and enjoy! Topped with chives, it was the perfect way to get over the hump of being sick. And, because my add ins added so much depth, there are leftovers for lunch! These mixes are so great because you can add anything you have in your fridge and make new flavor combinations… or just enhance the ones they gave you. To this one, you could also add chicken or seafood for some added protein.